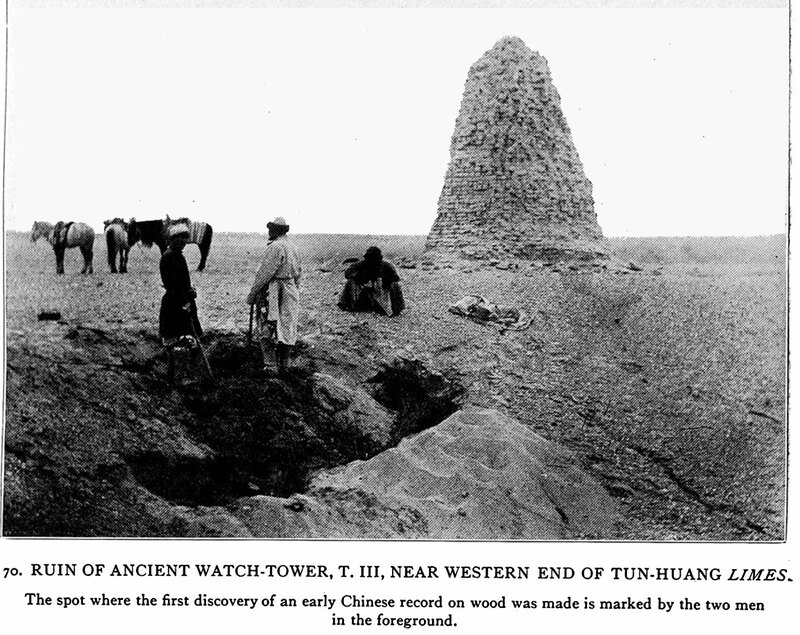 On Central Asian Tracks 70 - Ruin of ancient watch-tower, T.iii, near western end of Tun-huang Limes. The spot where the first discovery of an early Chinese record on wood was made is marked by the two men in the foreground - Stein included many more photos of Han Dynasty towers in his official reports. For this general summary book he includes this one due to the significance of the recovered Chinese record.